We can do custom gifts for any occasion you may need. 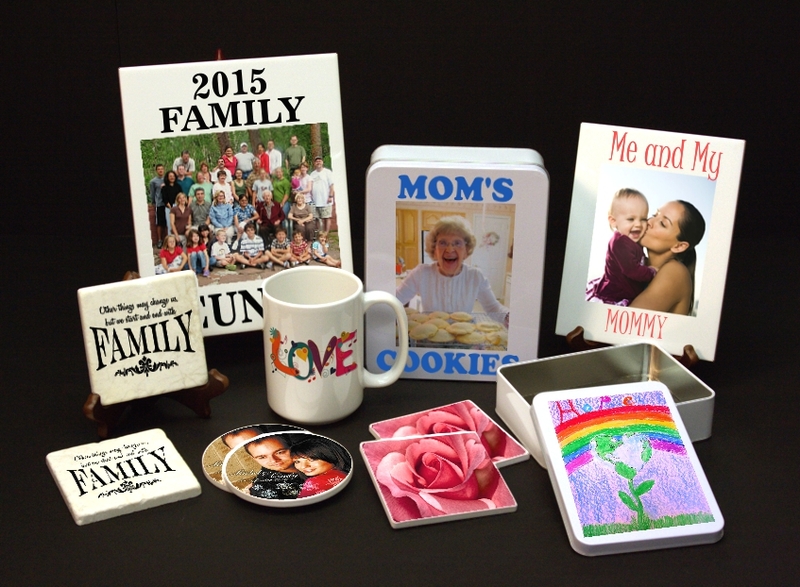 From Coffee mugs, marble tiles, gift tin boxes to sandstone coasters. If you have an idea for a gift we can make it. We can print on any of our products shown here along with many more. After providing a digital image like a photograph, custom note you can create your own gift. We can also design any custom ideas for you specific need. Contact the gallery today and ask for additional information. Custom Tiles and Sandstone Coasters. 15 oz. Mugs printed with your design. Gift Tin Box that is U.S.D.A. approved for foods. Give the gift of your homemade goodies. Italian Marble for that unique Gift or Message.